Molecular Innovations Director, David Baisch, and Lead Conservation Product Engineer, Dr. Hal Holmes, display an early prototype of the DNA Barcode Scanner. Every year, millions of tons of seafood, timber, and wildlife products are trafficked illegally, often disguised in processed form. But genetic analysis is not readily available in the places where it is most needed: in the field (e.g., at the point of processing, along the supply chains, from pier to plate). Accessible by those who need it – portable and usable. Easily performed without a fully equipped lab and technical training. Affordable enough to be put to regular use. To empower those on the front lines of conservation, Conservation X Labs has built an innovative tool that places the power of a genetics lab in anyone’s hand. The DNA Barcode Scanner is a low-cost, hand-held, field-ready automated tool to validate the identity of a wildlife or food product, anywhere in the world, without specialized training, equipment, reagents, or even continuous power. Within a year, we have developed several prototypes of the device that allow a user to take a sample of a product or good of concern and, within minutes, confirm its species identity. We are actively testing its utility with future customers in fields such as seafood fraud detection and wildlife trafficking. The DNA Barcode Scanner will empower a huge array of people – customs agents, or border officers, fisheries inspectors, scientists, conservationists, consumers, even everyday citizens – to confirm a species identity without a lab or expertise. Knowing within minutes whether something is an endangered species – or a mislabeled fish, or an invasive species, or a crop pest – is critical to protect biodiversity on our planet. Currently, using genetic information for species confirmation requires the use of a lab, expensive equipment, and scientists and technicians with specialized training. But by harnessing the power of low-cost electronics, frugal engineering, and genetic analysis, we can empower almost anyone to support conservation efforts in the field. The DNA Barcode Scanner is an example of how conservation technology will transform our ability to combat the scourge of extinction with greater speed than ever before. Hear about Conservation X Labs’ and the Smithsonian Institution’s 2016 meeting to rethink current approaches to combating timber and wildlife trafficking using genetic analyses for DNA barcoding from our team and partners. Dr. Hal Holmes, Lead Conservation Product Engineer at Conservation X Labs, was awarded an inaugural Schmidt Science Fellowship (2018) to drive the development of a new DNA extraction platform to address difficult sample types at Virginia Polytechnic Institute and State University. 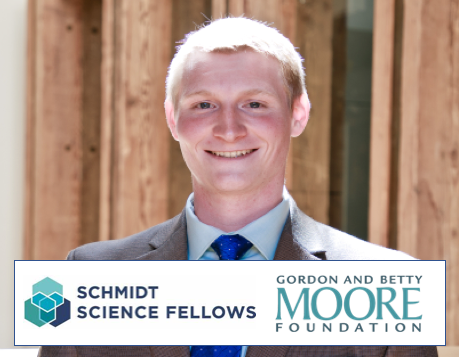 Dr. Holmes was also selected as one of five Moore Inventor Fellows (2018) by the Gordon and Betty Moore Foundation to support his work on the DNA Barcode Scanner. To learn more about these honors, visit the 2018 Moore Inventor Fellows announcement and the Schmidt Science Fellows website. Want to inquire about the DNA Barcode Scanner? Get in touch with us below. Want to receive our biweekly conservation technology newsletter? Leave us a message with the contact form below.